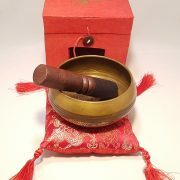 Singing bowls have been used in religious and shamanic practices for well over 1500 years and have been associated with Tibetan Buddhism since the 8th century A.D.
A singing bowl is played by resting the bowl on the flat of the hand and rotating the stick around the outside rim of the bowl. This produces a vibration, which creates a hum, which is the essence of the bowl. 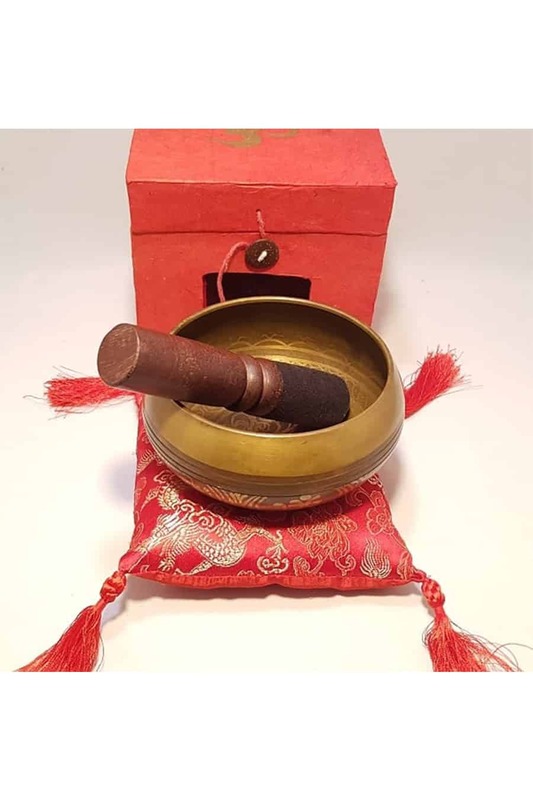 This natural and harmonious sound emitted by singing bowls is used to invoke a state of deep relaxation, which assists meditation, the ultimate goal of which is enlightenment. 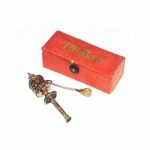 They are a vital aid to meditation and are found in Buddhist monasteries and temples around the world. 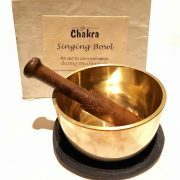 As Buddhism has become popular, so too has the use of singing bowls. 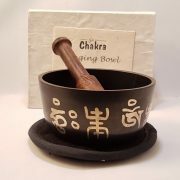 In recent years singing bowls have been used in holistic healing, chakra healing, sound therapy, Reiki, feng shui, and many other area related to purifying negative impulses and relieving stress. 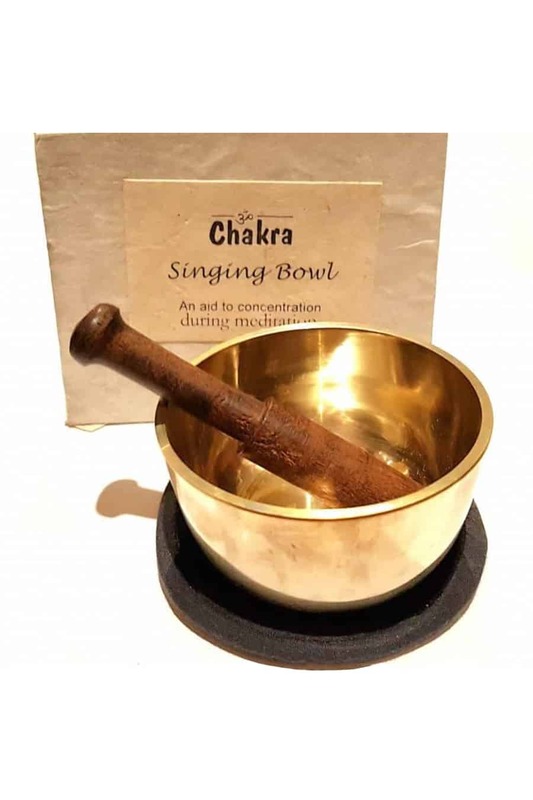 Musicians have also discovered the beauty of singing bowls and now they can be heard in all kinds of music, ranging from rock music to relaxation music. We have 3 different bowls to choose from, each of a different design. All are made from the nine metals that are used for bells for the best sound and vibration. SKU: N/A. 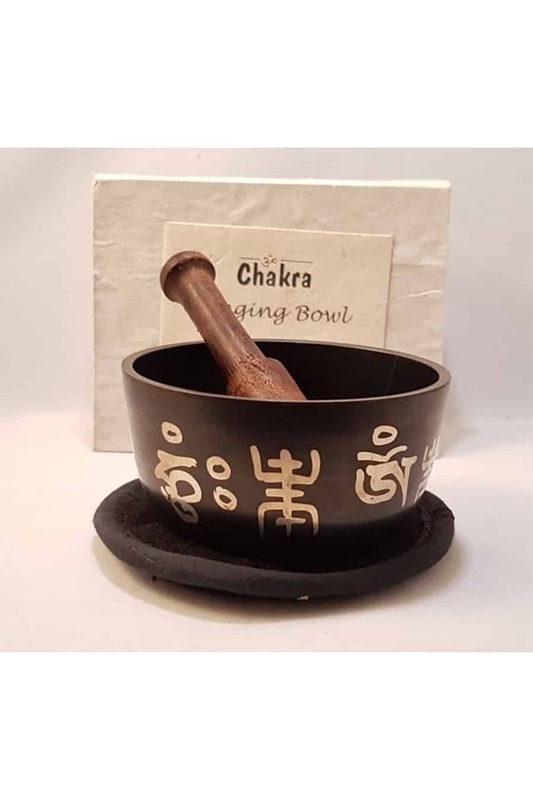 Categories: Tibetan Products, Singing Bowls.